I know everyone seems certain that its MB but is there a chance for BBB? And I’m hearing TOM more than MB lately. I would love BBB. Such a cool, unique game that not enough people have had the opportunity to play. It's a no brained, in my opinion. I heard the same thing from Doug at TPF. CGC will apparently raise the level of enhancements quite a bit with their next release. Hopefully it’s still MBr. I played an original last night at a barcade and had a blast with it. Any guesses what the improvements might be? 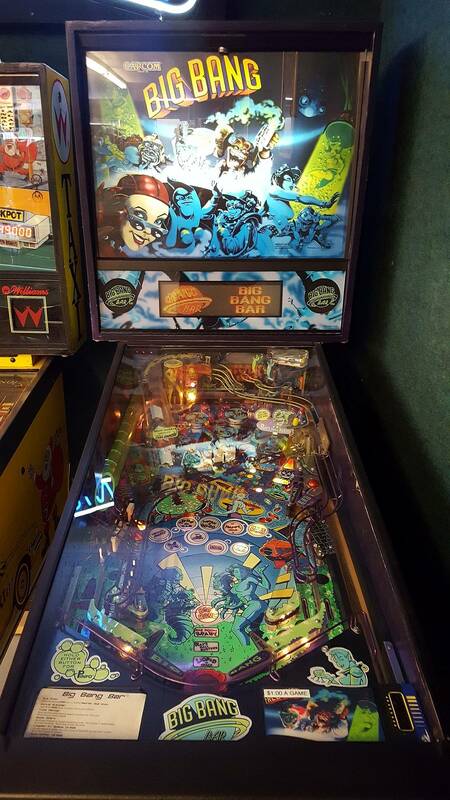 Larger colored DMD, LED playfield and topper is my guess. Only thing I know for sure is, it isn't Punchy the Clown R.
Another thread about this third remake...we don’t know new more but we all can’t wait for this revealing...MBr would be logic after MMr and AFMr...or maybe CCr even if it would be a letdown if this was not CCCr...my hope is BBBr that would be the more useful as the current price is out of reach for many of us. 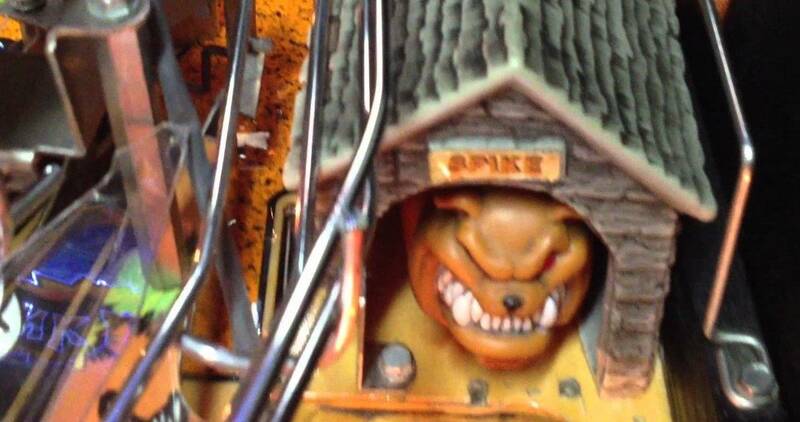 ...and LTG would say that we would know when this remake is really to build. I heard the same thing from Doug at TPF. CGC will apparently raise the level of enhancements quite a bit with their next release. Yeah so much so that they cant figure out how to get it work so they can release it! Maybe down the line, but for now it would makes sense IMHO to do MBr or CCR, better yet Both! Yeah so much so that they cant figure it out to get it work so they can release it! Oh it works. Just polishing up a few things. I hope it is MMrr - it needs the bigger screen and animated topper. CGC has done a good job keeping this secret under wraps. Darn it! Haha. No topper. Bigger screen is/has been tested. Now packaging, boxing, instructions type stuff. Maybe a couple months out. I was just joking but if that is true then that would be great and I would be on-board with picking one up. I thought everyone knew Circus Maximums is making bbbr next after kp. I thought everyone knew Circus Maximums is making bbbr next. Kingpin. End of this year or early next. Not BBBR. If MBr isn’t the next game released then I’m getting AFMRLE, the hope of MBr being up next is the only reason I haven’t pulled the trigger. LTG know CGC deepest darkest secrets. Get with the spilling of news forget your NDA and give pinside the good stuff. OK OK just tell us the next 4 games in order and release dates and pricing. THANKS! Next remake will not be BBB. I hope it's LionMan ! Sorry, I only know one. And that was by accident. Green, kidney, pinto, lima, common, navy, black turtle, chickpea, mung, adzuki. I would call you names right now but since I am going to need all that free tech support from you in the future on MMR. I will just say,awesome bean selection my friend. MMR LE purring like a kitten at the moment. It's MBr, not BBBr or CCr. Any guesses what the improvements might be? More and deeper code would be my guess. TOM and MB are both awfully shallow by today’s standards. I wonder if there is any chance TZ gets the remake treatment one day. I'd love to see version of TAF, based on the TV show. But you can't eat them. I saw your posts in the vegan thread. If it's MB and it's taking this long, I'm not sure that's very exciting. Pure speculation but that could be epic. I heard BBB multiple times. We will see. This is what I am running with. I went for the AFMRLE, and I was planning on ordering an SE of the new one, but this would change my mind. I'm hoping it's Theatre o magic. It's not BBB based on LTG owning one and not selling it. Pretty sure this topic can rest. mb... thats my final answer Regis! He also has 2 original MM and 1 AFM. Honestly, what other upgrades could you fit in a game to make it more of an upgrade than MMR -> AFMR? AFMR is already so packed it’s bursting. New Code is really the only other option. What about a horse bean? If you're ever in Minneapolis, go visit LTG at his shop. Conversation is free and BBB is only a $1 per game. You ever talk to someone and they say something without thinking or meaning too ? I'd call that accidentally. It's not BBB based on LTG owning one and not selling it. There is a difference between having it here and owning it. 1 original MM. Not going anywhere. It's always been a great playing game and loved by many. The AFM I would like to move for a different title. Unlike MM and MMR, since I have the AFMR LE here, I don't need the original AFM.